Certainly one of the most exciting plays we ever produced was Sunrise at Campobello, the story of Franklin D. Roosevelt during the early 1920s. We were extremely happy when Dore Schary, a prominent head of MGM, decided to leave Hollywood to concentrate on writing and producing plays in New York! His first play, Sunrise, was excellent! 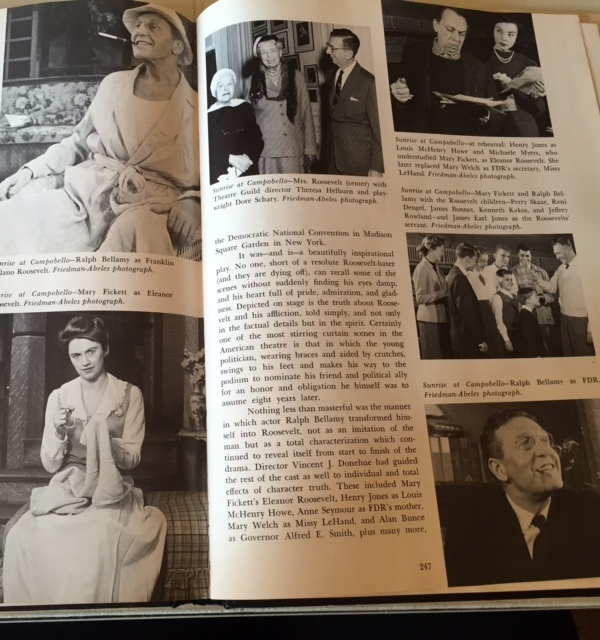 We opened the play on what would have been Roosevelt’s 76th birthday—January 30, 1958. It was directed by Vincent J. Donehue and starred Ralph Bellamy as Roosevelt, along with Mary Fickett, Henry Jones, Anne Seymour, Mary Welch, Alan Bunce and more! It was great fun producing and working with such talent! The play itself was so masterfully written and so poignant and inspirational—transcending generations—and that’s why we adapted the play into a one-man show, FDR, which we have been touring all over the United States starring Ed Asner and playing in over 100 theatres during the last 6 years (since 2009). 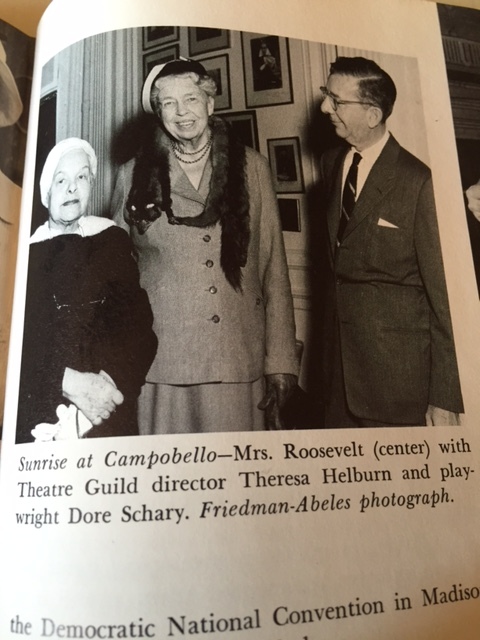 You can read more about our production of Sunrise at Campobello and many more Theatre Guild productions in our book: A pictorial history of the Theatre Guild by Norman Nadel.